Produce and craft electronic tracks. Sync visual performances to audio. 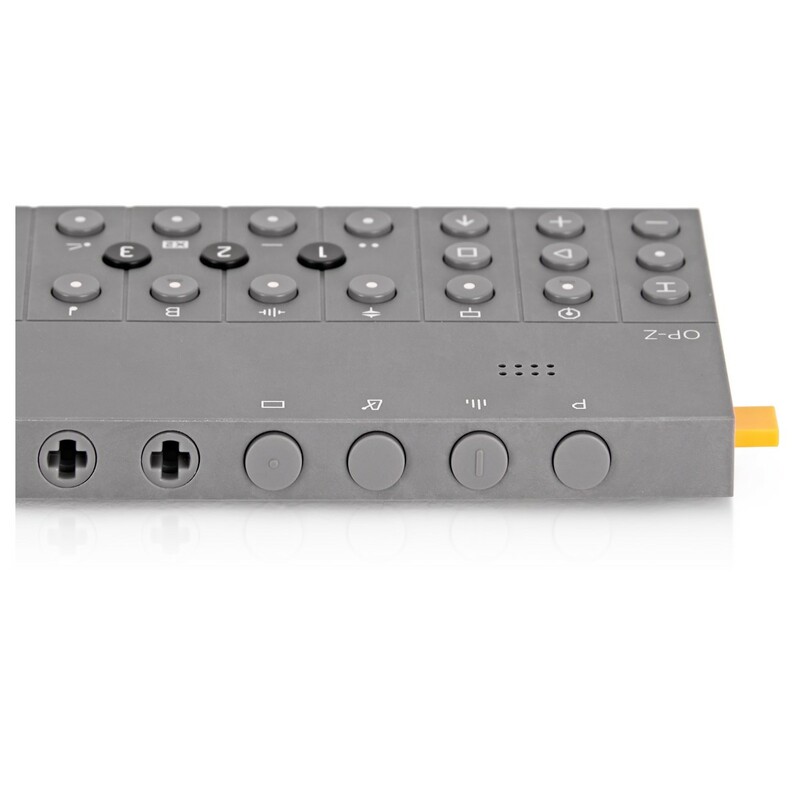 The Teenage Engineering OP-Z 16-Track Synthesizer with Sequencer is many things. It is a multi-timbral physical modelling synth. Other aspects include dual domain synthesis, a 6 axis motion sensor, bluetooth and an in-built MEMS mic. 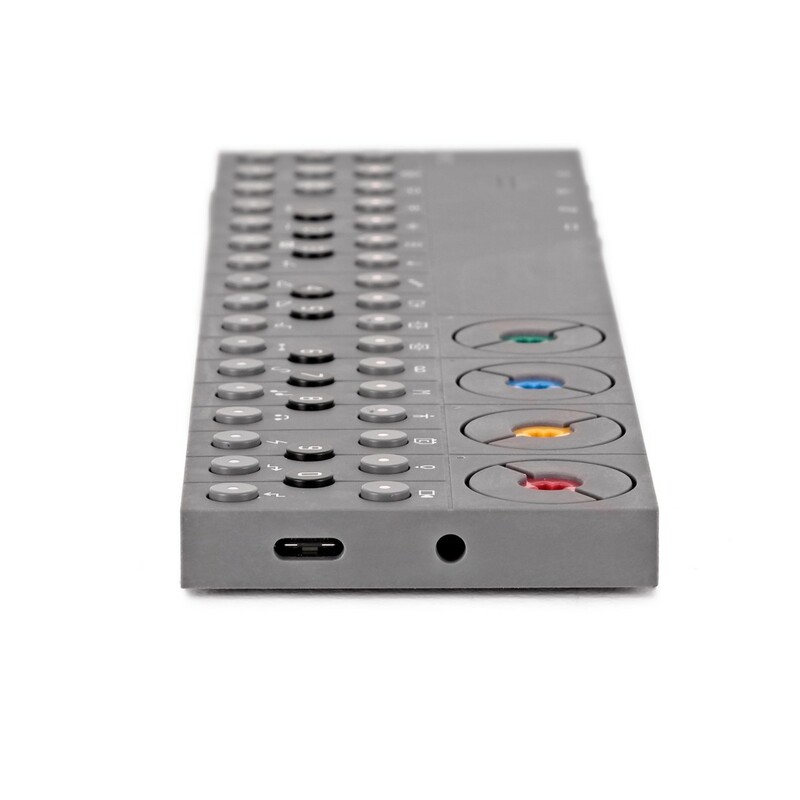 Enjoy sequencing up to sixteen multi-speed tracks simultaneously with the sequencer - then modulate your sound with T.E. 's new "Step Component" feature. Run your own live shows with a sequenced visual display or DMX light show. Sync images and Unity 3D graphics with your audio. Link OP-Z control data to your Unity project. A highly portable, lightweight and compact design is great for designing sounds and sequences when you're away from the studio. OP-Z comes loaded with everything you need to get making music you'll love. It features 16 sample packs, with each containing 24 samples - the perfect springboard for your creativity. Or find your own voice by adding samples from elsewhere. Kicks, snares, sampler, bass, arps, one-shots, everything you need to make great music. 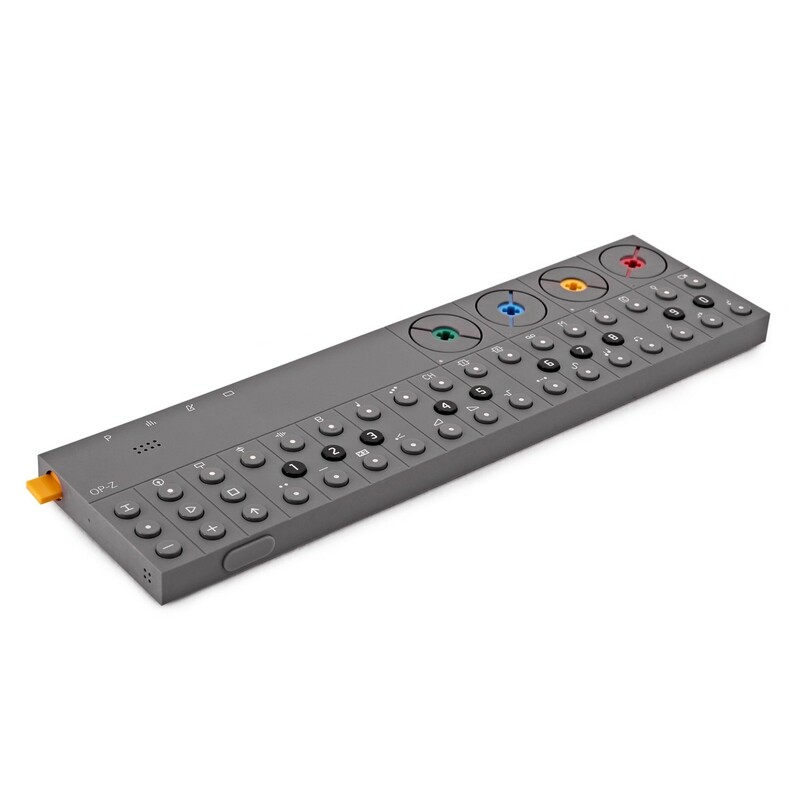 Thanks to the wonders of technology, OP-Z is fully updatable. At present, there are eight synthesis sound engines with which you craft otherworldly landscapes, searing leads, rumbling basses, and FM-style plucks. 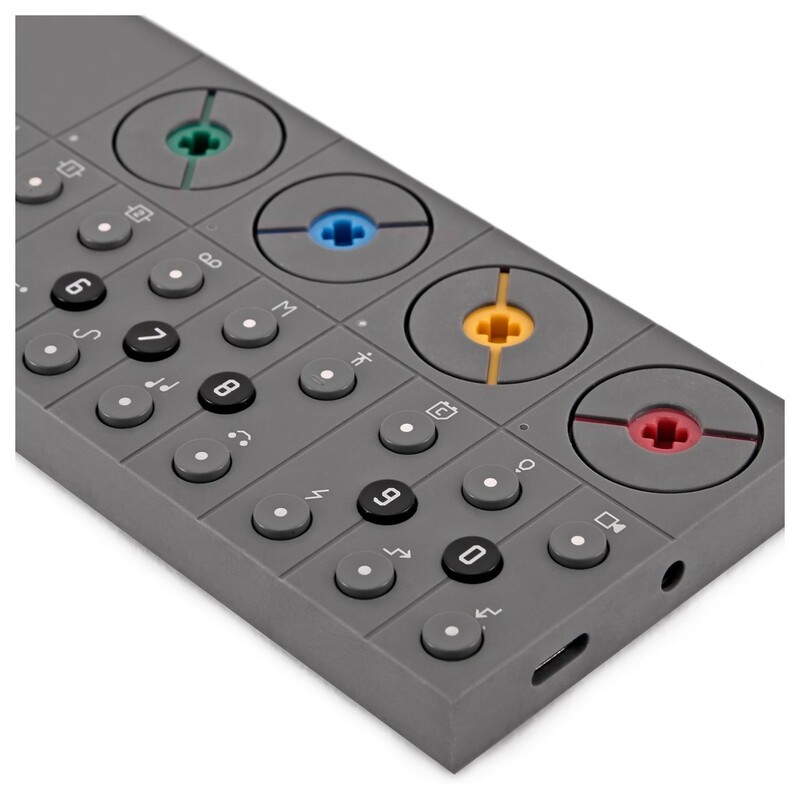 However, that's not all, OP-Z will receive more synthesis engines as time goes on, helping it stay at the cutting edge. And if you love effects, you'll be pleased to know that OP-Z has two separate busses, you can use delay, reverb, bit-crush, and distortion on these bus tracks. Just like the synth engines, these will be updated with time. 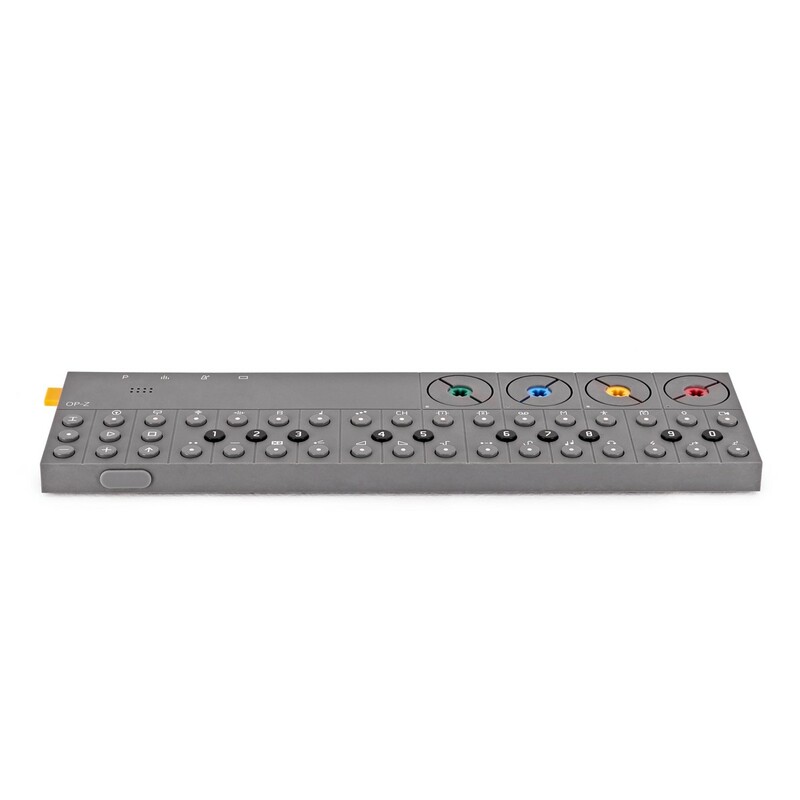 OP-Z will provide fresh inspiration as time goes by. It grows with you. 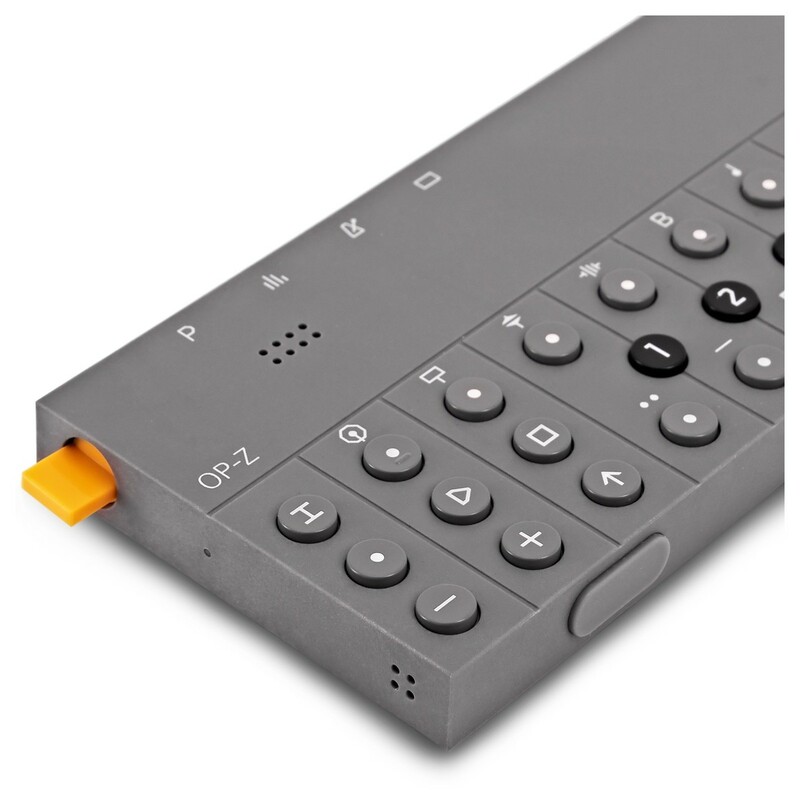 By downloading the free OP-Z iOS app from Apple's app store, you have the opportunity to pair your phone and OP-Z together to add several unique features. For example, you can use your phone's camera to take a number of photos, and then arrange them to a beat, essentially creating your own synchronised music video. 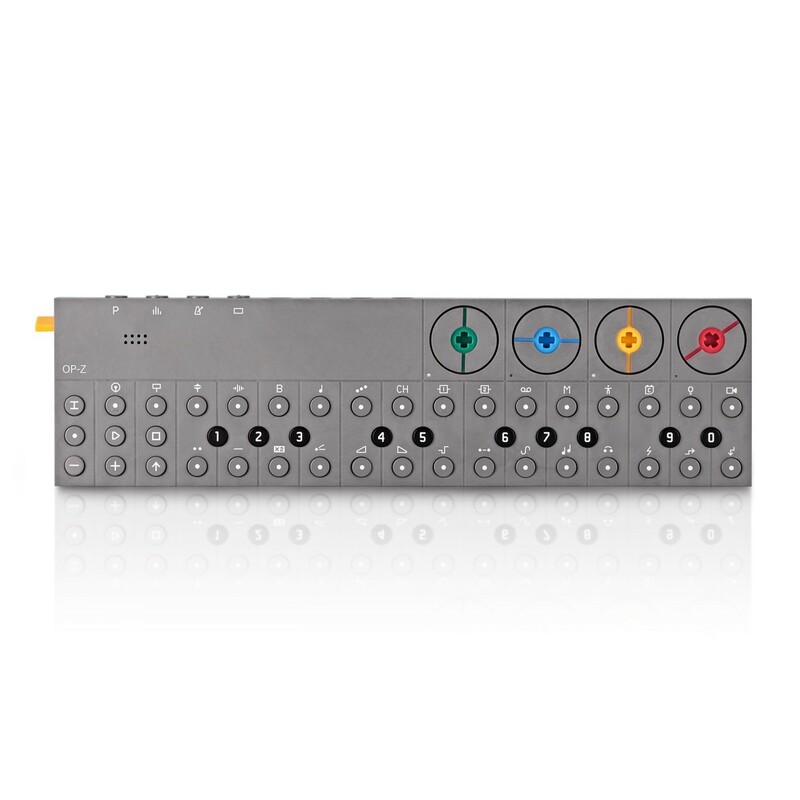 Teenage Engineering have worked closely with Keijiro Takahashi and the Unity Tokyo studio to allow the OP-Z to fully integrate with the Unity game engine. 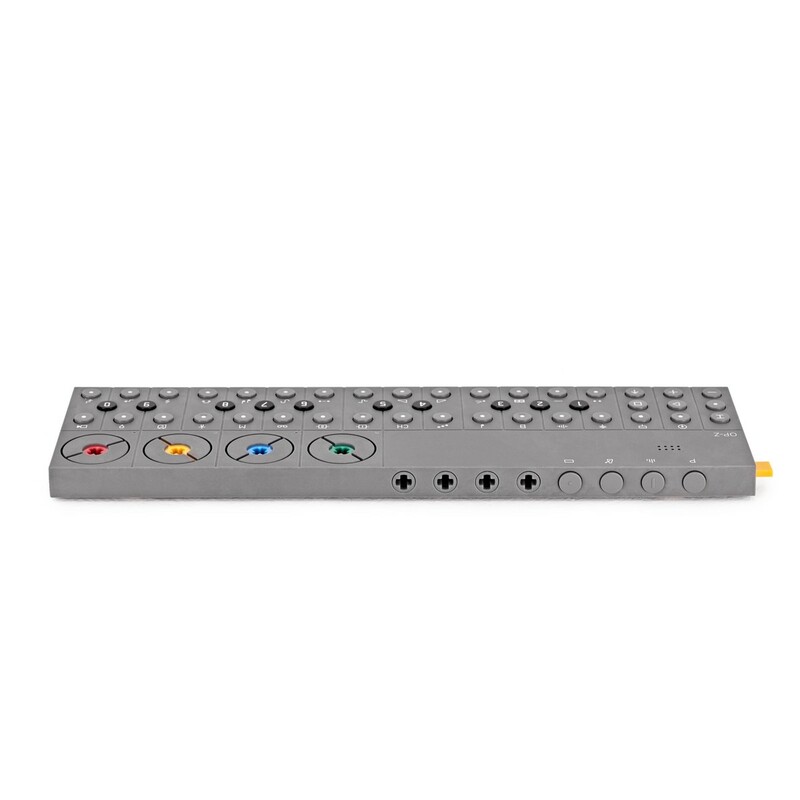 By linking the OP-Z with Unity, it allows users to create anything within Unity.